It’s happened to every biker. A flat tire in an inconvenient place on your commute, and the nearest bike shop is a long walk away. 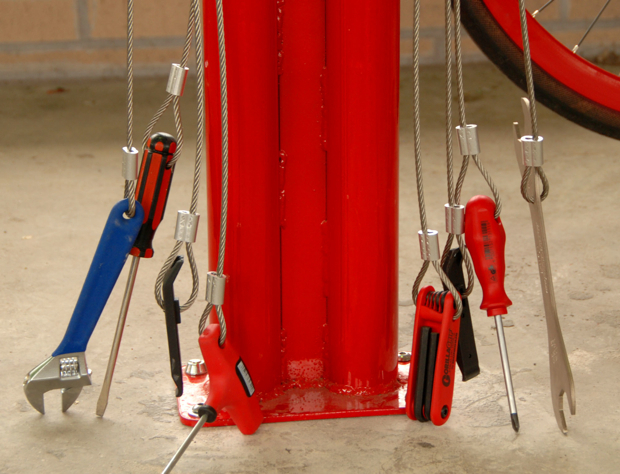 Most casual bikers don’t carry extra tubes or tools with them; and so any repair work on the road can mean an end to a bike ride, and potentially leaving your bike locked up somewhere slowly rusting as you forget about it in your frustration. 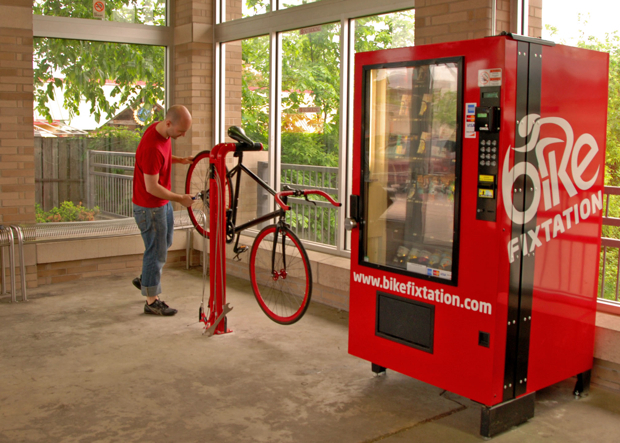 That’s why the idea of the Bike Fixtation is so brilliant: a place for you to buy new parts and then install them yourself. 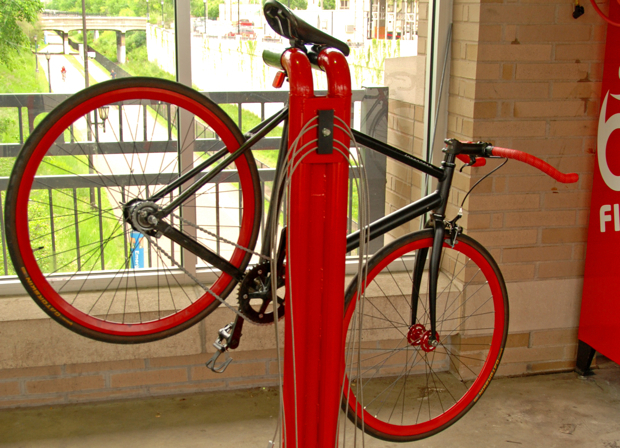 Sadly, right now, only one Fixtation exists in the world, and it’s in the bike-friendly Minneapolis (though a second one is also in the works in the city, and Times Up! operates one in–where else–Brooklyn). You can contact Fixtation to buy a unit, but until the company expands more broadly, bikers everywhere else will have to wait jealously for the company to take off enough to expand and give them their own Fixtations.